On 21st December, the SUN ingress in CAPRICORN: Happy Birthday for all natives! On this occasion it is moment of Winter Solstice, so you have the shortest day of the year in the northern hemisphere. Then the day begins to grow. Retrograde planets: Mercury (until 6th December) and Uranus (until 7th January 2019). NEW MOON in SAGITTARIUS on 7th December at 02:20: This New Moon is accompanied by Jupiter, having a protective role. It is said that when Jupiter meets Sun and Moon is the luckiest day of the year. Be open and trust your own destiny! FULL MOON in CANCER on 22nd December at 12:48: A lot of sensitivity, emotions, and alcohol flowing. Where there is a suffering, you should express it, in this way something inside will heal. Compassion for yourself helps you understand others. A surprise is about to occur and will light the days for some of you. Some decisions about your future you will take anyway. During retrograde cycle of Mercury, communications (in any way), energy-consuming devices, but also thinking and logic can be affected. In general, what you want to convey is not understood or is totally wrong, and controversy can arise from here. The important transactions in these periods are good to be postponed, and if you cannot avoid signing of a contract or an important document, it is preferable to read the document very carefully. If you do not understand something, ask a specialist (lawyer, counsellor, accountant and so on). Postpone important decisions and do not launch business or new products. 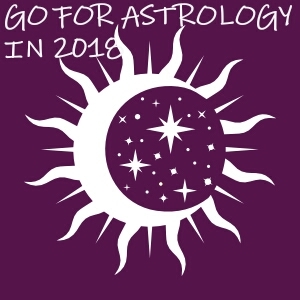 During retrograde cycle of Venus, it is preferable to avoid the following activities: marriages, starting a love affair, investing, taking and lending money, aesthetic surgeries. When Venus is in Scorpio: Sexual intensity is also vital ingredient in your primary relationship. Without this emotional and sexual intensity, you feel that your relationship is lacking a vital quality, and you may even seek solace in another’s arms. MARS is in PISCES until 31st December: You have a strong drive for a spiritual path. You have strong subconscious emotions and are highly intuitive. You may resort to victim-like behaviour when faced with a threatening situation or person. I wish you the best transits and a Happy New Year!